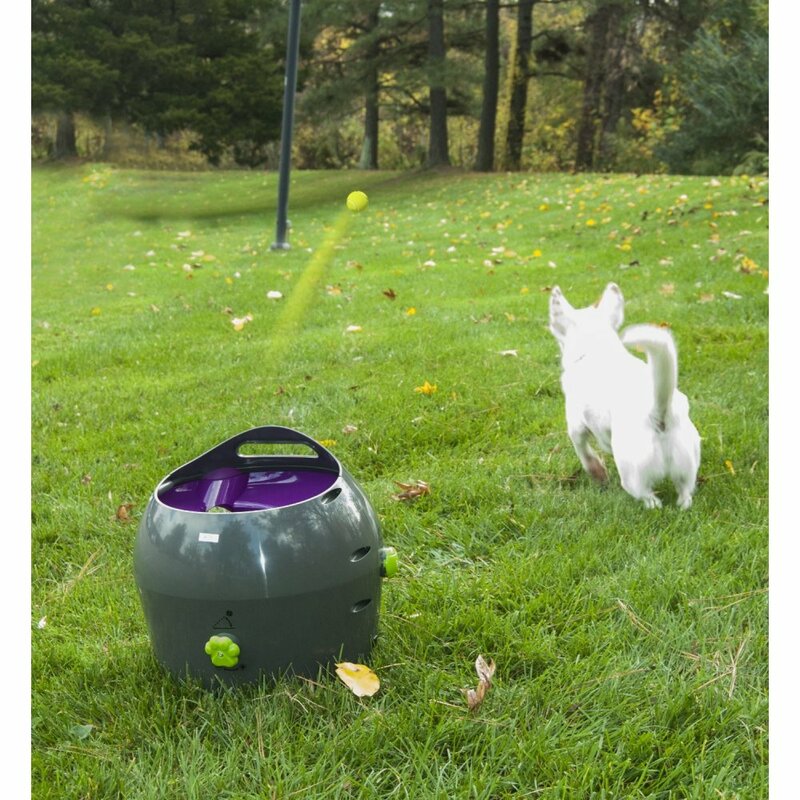 Adjust the launch of the ball from 8 to 30 feet! 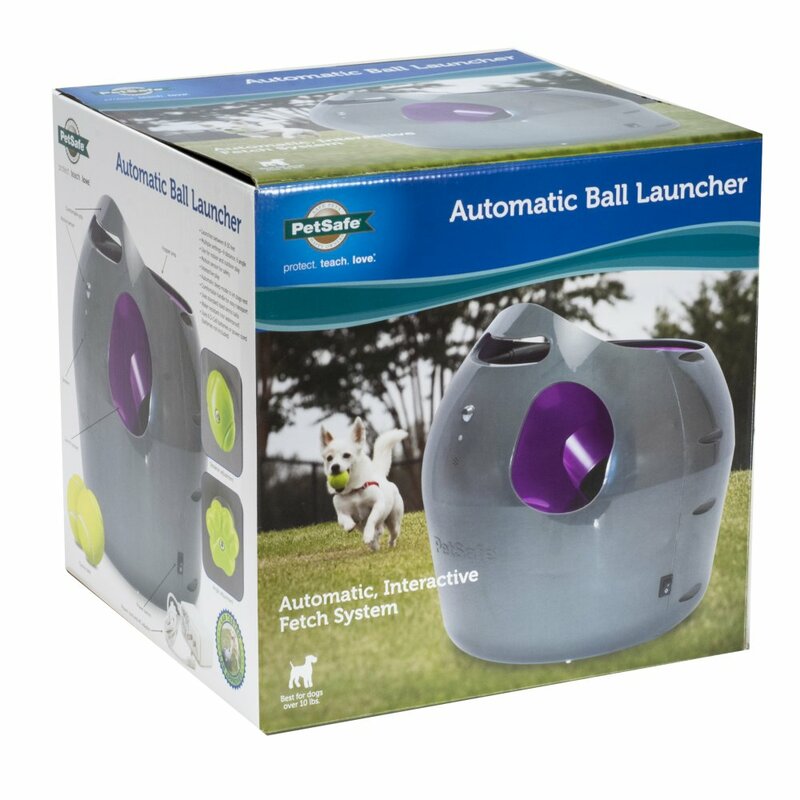 The PetSafe Automatic Ball Launcher is the premium choice in automatic fetch games. 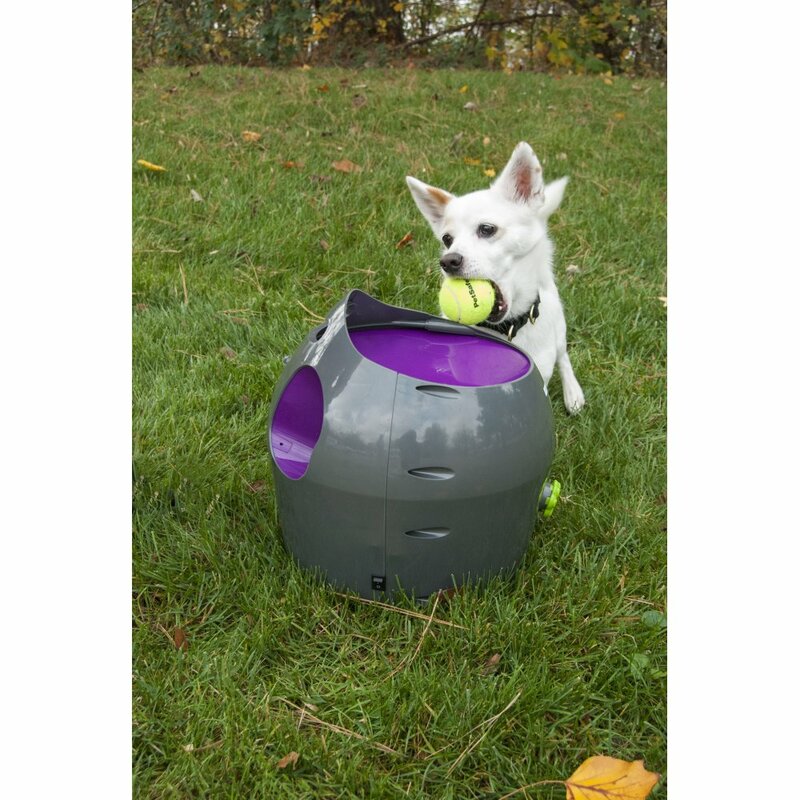 Safety and fun are top priority, meaning your dog can play with the Ball Launcher with or without their human thanks to multiple safety features and motion sensors. 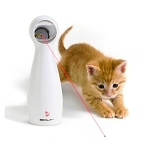 The Automatic Ball Launcher is easily transported by the carry handle on top, and is made to use just about anywhere; Use with 6 D batteries or with the included power cord. 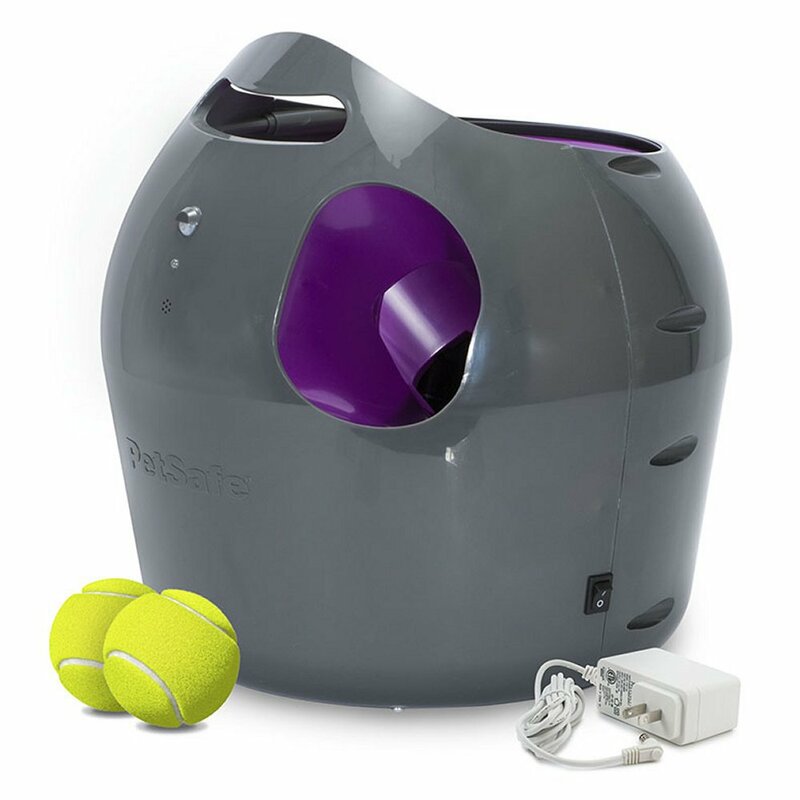 The Ball Launcher comes with 2 standard sized PetSafe tennis balls, perfect for a game of fetch. In case you want to mix up the game, adjust one of the 6 angle settings or one of the 9 distance settings to really get the game going. Launch anywhere between 8-30 feet! 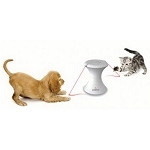 Don’t worry about your pup over-working themselves while playing. 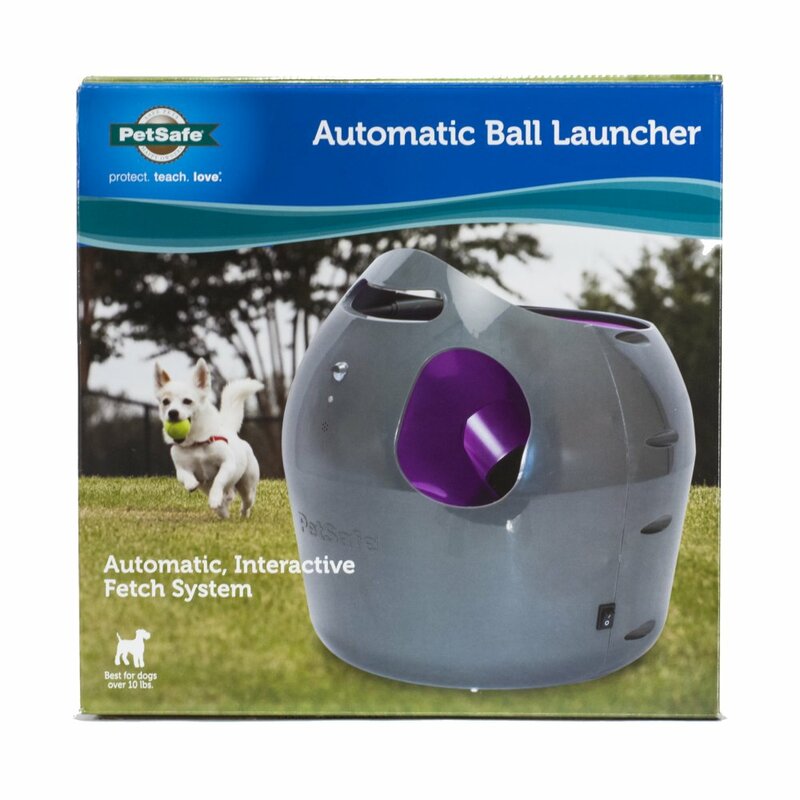 The Ball Launcher has a 15 minute interval rest feature to ensure your pet gets the down time they need in between play sessions . Keeps cutting off. Read the book several times and it still cuts off. We think it is stopping with the shadow motions! I have sent it back!